Limburg, another 'outsider' province in our country. The southern part of Limburg looks a bit over the border (and everything from far away is better). This is a country-seat in the middle of Limburg, Kaldenbroek. 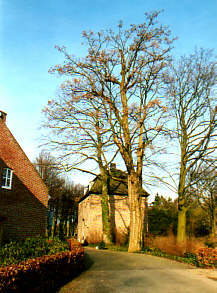 The last part of its name, 'broek', means marsh. Here it refers to one of the closed arms of the river Maas. 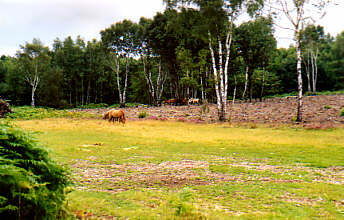 Near Tegelen lies castle Holtmühle. The main building is restored and has a new wing, and is in use as a hotel. The building above is one of the small buildings on the property. 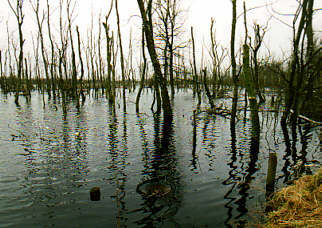 This is part of the Mariapeel, one of the few places in the Netherlands where there is still bog. In this part, formerly a wood, the water levels are risen in hope to create new, living bog. In the front you can see a pipe through which the water spills to the next section. Pipes like this prevent the water level to come to high. Roermond, the city at the place where the rover Roer enters the river Maas. 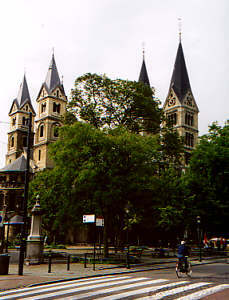 To the left the Munster church. 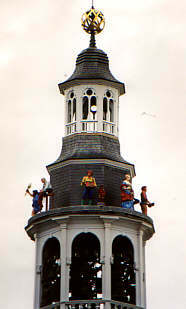 To the right the figures on top of the tower of the city hall. 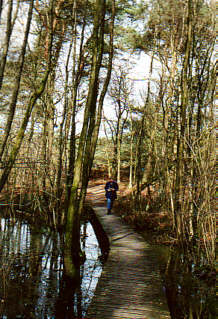 Near Roermond lies the National Park Meinweg. Bark tree stand between the heather on the moorlands. Small horses keep the grass short. Meinweg is one of the few places where the rare adder still lives. This old track is the so-called Iron Rhine. 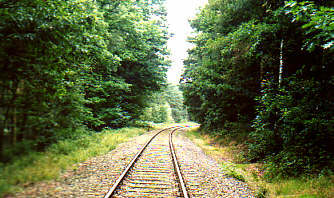 In the Meinweg, this track has not been used for over ten years, but the Belgium government wants to take is in use again. It is the shortest way from Antwerp to Germany; the use of the railway should improve the harbor Antwerp. From January 2002 on there should go one (1 !!!) train per day over this track. After completing the reports about the position of nature, there should be no problem to make this track fit for dozens of trains a day. As anyone can see, there need to be a lot of work done to make this a railway fit for a lot of traffic (two ways!). This will take a lot of extra space of the National Park, and the traffic will cost a lot of animal lives (more information). 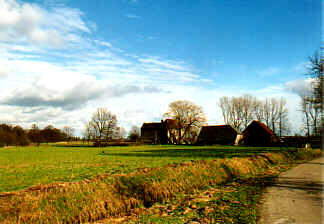 In South Limburg is a more hilly landscape, with small streams. 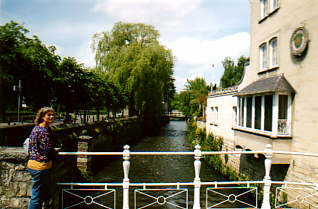 On one of those streams, the Geul, lies the town Valkenburg. It is immense popular with tourists. Beside the ruins of a castle and the Geul, there is not much to be seen. But it has a name among tourists, so everybody goes there, eats a grilled chicken and tells his friends they should really go there. 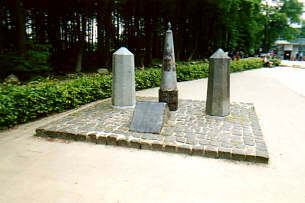 The highest hill of the Netherlands, 321 meter, lies at the corner with Belgium and Germany. So, only one third is Dutch. At the Drielandenpunt (three lands point) is an outlook-tower, a labyrinth and a restaurant.